Yesterday the first snow came to Sweden. It made me think of last winter when we had a really cold winter with lots of snow! Max was 2 1/2 years old and Leo was just a couple of months old. I was a stay-at-home mom so most of our days were spent outside playing in the snow. 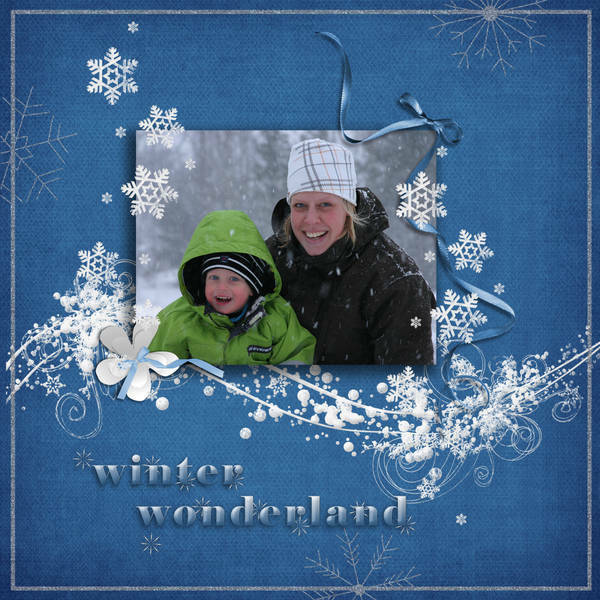 Credit: Sweet Blossom Design with a kit called "Winter"